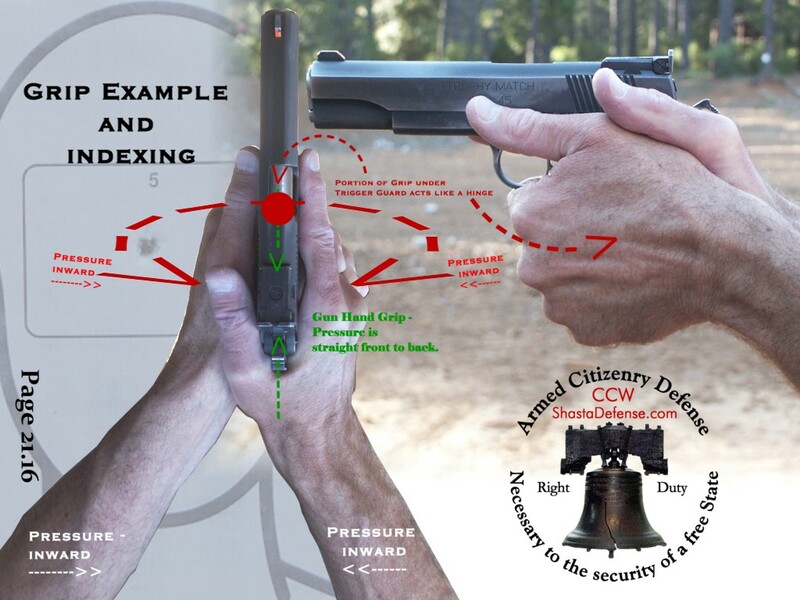 Do you know how to handle a firearm safely - Part II ? Having already briefly covered the Fundamental Rules of Firearm Safety (Safe Gun Handling), this article will provide an overview of some of the Rules for Using and Storing a gun. In addition to the above, the Rules for Using and Storing a Gun include (source, NRA): Know your target and what is beyond; and, Know how to use the gun safely. 1. Know your target and what is beyond. This applies whether you are at home (e.g., self defense situation), at the range, or in the woods. Bullets don’t stop when they hit the paper target, or that tin can. They may pass through objects you intended to shoot, and end up striking someone or something you had no intention to hit. Bullets may very well penetrate walls, windows, doors and other objects. They can bounce off at unintended angles when impacting dirt, water, trees, and other objects. The time to think about what can possibly go wrong is before you decide to shoot. When target shooting, be certain of your back stop. A high dirt berm is a good backstop for normal target practice but you must take care that rocks or other objects are not present which might cause the bullet to ricochet or even come back at you, or others. The temptation to see "what will my gun do to this object" is an enticing thought -BUT - shooting that old engine block (for example) may very well end up with the bullet (or parts thereof) coming straight back at you with resulting injury or death. Shooting at a target which has high brush or bushes behind it isn’t safe since you can’t see what the bullets will hit. You are accountable for what comes out of the barrel of your firearm. Moral and legal consequences result. Remember, bullets travel very long distances (e.g., a .22 LR can go over 1 mile), and the damage may not stop at your intended target. Of course, firing into the air is likewise dangerous, and can be deadly. You should never fire in a direction where innocent people may be hit, or some object may be struck which would cause a mishap. Such is the reason that in a self defense situation, you don’t fire warning shots - as they are acts of deadly force. If you have a safe room in your home, you need to think out in advance as to potential defensive courses of fire for self defense. The reason is that you don’t want a bullet to go through a wall into another room, or through the wall of your home, and result in injury or death to an innocent person. You need to think before you shoot. If there is a question about whether it is safe, then don’t shoot. 2. Know how to use the gun safely. Before you start using a firearm, you should read the owner’s manual and learn how the particular gun operates. You should know your firearm’s basic parts and how it operates. You should never assume that a gun operates in the same manner as another just because it is similar in appearance. Knowing how to safely open and close the action, in addition to knowing how to safely load and remove ammunition from the firearm is essential. Of course, loading and unloading a firearm is one of the potentially most dangerous times in handling a firearm. Guns are mechanical devices, subject to wear. Moreover, safety devices are likewise mechanical devices and not foolproof. Always load and unload your firearm while it is pointed in a safe direction. Even new firearms have had defects which resulted in the firearm going off while being loaded (i.e., hammer following the slide forward on a semi-auto resulting in discharge without touching the trigger). Such events make you a real believer in following ALL of the gun safety rules - every time. Remember, you and your brain are the ultimate safety. Ultimately, you should strive to ingrain all of the firearm safety rules, firearm craft skills, tactics, and mindset so they become reflexive. This takes time and "perfect" practice. If you see someone you know who isn’t following safe firearms practices, politely bring the matter to their attention. If they are not receptive and continue unsafe practices, then keep you and your loved ones away from them. If you are at a range area under such circumstances, you may wish to advise others, but you, your family and friends should leave. In the next article, I will continue with other Rules for Using and Storing a firearm. In the meantime, reflect on the fact that your Individual Right to Keep and Bear Arms is the safeguard of our American Bill of Rights. It is the deterrent to and defense against tyrannical and oppressive government, as well as the criminal intent upon taking your life.